A DNA vaccine tested in mice reduces accumulation of both types of toxic proteins associated with Alzheimer’s disease, according to research that scientists say may pave the way to a clinical trial. A new study by the University of Texas (UT) Southwestern’s Peter O’Donnell Jr. Brain Institute shows that a vaccine delivered to the skin prompts an immune response that reduces buildup of harmful tau and beta-amyloid – without triggering severe brain swelling that earlier antibody treatments caused in some patients. “This study is the culmination of a decade of research that has repeatedly demonstrated that this vaccine can effectively and safely target in animal models what we think may cause Alzheimer’s disease,” said Dr. Roger Rosenberg, founding Director of the Alzheimer’s Disease Center at UT Southwestern. “I believe we’re getting close to testing this therapy in people.” The research, published online on October 20, 2018 in Alzheimer’s Research and Therapy, demonstrates how a vaccine containing DNA coding for a segment of beta-amyloid also reduces tau in mice modeled to have Alzheimer’s disease. In addition, the vaccine elicits a different immune response that may be safe for humans. The open-accessa article is titled “Active Full-Length DNA Aβ42 Immunization in 3xTg-AD Mice Reduces Not Only Amyloid Deposition But Also Tau Pathology.” Two previous studies from Dr. Rosenberg’s lab showed similar immune responses in rabbits and monkeys. The vaccine is on a shortlist of promising antibody treatments aimed at protecting against both types of proteins that kill brain cells as they spread in deadly plaques and tangles on the brains of Alzheimer’s disease patients. Although earlier research established that antibodies significantly reduce amyloid buildup in the brain, Dr. Rosenberg’s team needed to find a safe way to introduce them into the body. A vaccine developed elsewhere showed promise in the early 2000s, but when tested in humans, it caused brain swelling in some patients. Dr. Rosenberg’s idea was to start with DNA coding for amyloid and inject it into the skin rather than the muscle to produce a different kind of immune response. The injected skin cells make a three-molecule chain of beta-amyloid (Aβ42), and the body responds by producing antibodies that inhibit the buildup of amyloid and indirectly also of tau. The latest study – consisting of four cohorts of between 15 and 24 mice each – shows the vaccine prompted a 40 percent reduction in beta-amyloid and up to a 50 percent reduction in tau, with no adverse immune response. Dr. Rosenberg’s team predicts that if amyloid and tau are indeed the cause of Alzheimer’s disease, achieving these reductions in humans could have major therapeutic value. 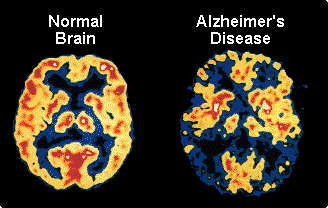 Alzheimer’s disease is characterized by progressive deterioration of the brain as neurons are destroyed. About 5.7 million Americans have the fatal disease, with the number expected to more than double by 2050, according to the Centers for Disease Control and Prevention. Dr. Rosenberg said that allowing the body to produce its own antibodies through active immunization would be the preferable strategy, if it can be done safely. Among the advantages, the vaccine would be more accessible and less expensive. It also produces a wider variety of antibody types than the pre-formed antibodies containing only one specific antibody, Dr. Rosenberg said. The field advanced significantly earlier this year when UT Southwestern scientists discovered a “Big Bang” of Alzheimer’s disease (https://www.utsouthwestern.edu/newsroom/articles/year-2018/genesis-of-di...)– the precise point at which a healthy tau molecule becomes harmful, but has not yet formed tangles in the brain. Drs. Roger Rosenberg, left, and Doris Lambracht-Washington have developed a DNA vaccine that can reduce in mice both toxic proteins associated with Alzheimer’s disease. The vaccine has been tested in three mammals with no adverse immune response. The findings offer a new strategy to detect the devastating disease before it takes hold and has spawned an effort to develop treatments that stabilize tau proteins before they shift shape. UT Southwestern scientists are also working to create a spinal fluid test that can detect abnormal tau before symptoms arise. Dr. Rosenberg said such a test would be an important tool to identify people for vaccine treatment who have not yet shown symptoms, but have higher levels of tau and amyloid stored in the brain. Dr. Rosenberg is a Professor of Physiology and Neurology & Neurotherapeutics. He holds the Abe (Brunky), Morris and William Zale Distinguished Chair in Neurology at UT Southwestern. Dr. Lambracht-Washington is an Assistant Professor of Neurology & Neurotherapeutics at UT Southwester. She presented the preliminary findings on tau reduction in mice in 2016 at the Alzheimer’s Association International Conference and was awarded a grant by the UT Southwestern Circle of Friends to continue the research. Min Fu, a Research Scientist at UTSW, collaborated on the study. Toxic amyloid plaques (red) and tau tangles (brown) form on the brain of a mouse modeled to have Alzheimer’s disease. A study shows a DNA vaccine reduces both amyloid and tau in the mouse AD model, with no adverse immune responses.